Everyone seems to think residential property prices in Singapore will rise in 2018. The question is, by how much exactly? We've compiled a list of forecasts from various sources. Most analysts are predicting a 5-6% price growth in 2018, although the more bullish forecasts can reach 10%. What do you think? Let us know on Facebook. 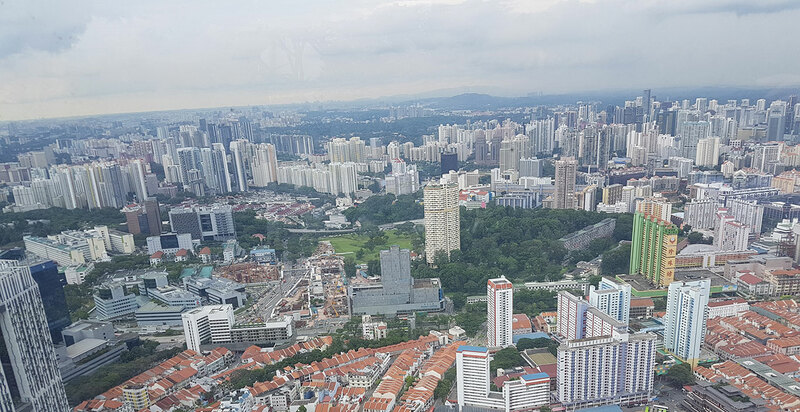 What are the reasons for this bullish view on Singapore residential prices? High government land sales prices and the much talked about en-bloc deals are one indicator of future prices. Developers who have bought their land in 2017 need to sell their new projects at even higher prices to maintain their profit margins. Often, these would be meaningfully higher than resale transactions in the area. In addition, it also signals the bullish view of developers who think they are able to command these higher prices in future. URA's property index declined for 15 straight quarters until 2Q 2017. This trend was finally reversed by a slight increase in 3Q 2017. As property prices declined over the last few years, many Singaporeans had decided to hold off their property purchases, without know when or where the bottom was. Now that the decline has stopped, buyers are back in the market looking for their next property. Comparison with overseas property markets also show Singapore to be a fairly attractive place for property investment. Especially when other markets like Hong Kong, China, London, New York, and Sydney have all seen prices grow significantly during the last few years while Singapore declined. In terms of new supply, the stock of private residential unsold inventory is also at its lowest over the last few years. In addition, new completions are currently expected at below 10,000 units per year for the next few years, compared to almost 20,000 units from 2014 to 2017. What should property investors watch out for? Mortgage rates are one risk factor to watch. SIBOR rates have spiked in 2018, with banks raising their mortgage rates quickly. With higher interest rates, investors who borrow to fund their purchases may find it harder to service their loan repayments. Rental market also continues to remain weak at the moment, with the slower growth in immigration. Again, this impacts buyers looking for an investment property, and they may seek better yields from other forms of investments like bonds, stocks or REITs. How are you looking to capitalise on this expected price growth in 2018? If you are looking for undervalued buys, do subscribe to our newsletter on our homepage to follow our property auctions! For property owners looking to sell into this rising market, do Contact Us Form or drop us an email at sales@auctionjia.com.sg to find out how we can help you! Source: Compiled from various news articles, reports. Please let us know if there are any inaccuracies or if we have missed your forecast, and we are happy to update this list.